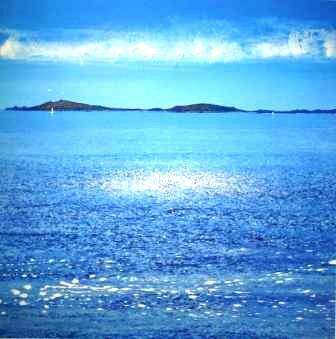 Richard Pearce was born on the Isles of Scilly in 1953. Richard Pearce has spent his adult life living and working a few inches from the ocean on the Isles of Scilly. His contemporary paintings provide an insight into a way of life totally dominated by the sea. 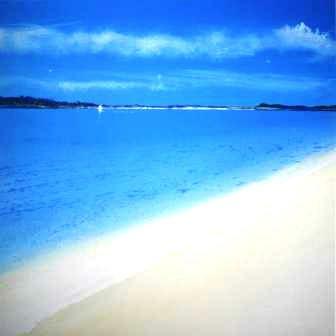 They are also a strong reinforcement to the notion that the sea is best painted by artists who lives by it. Richard Pearce paintings are invariably created using Acrylic which he, frequently applies with a pallet knife. Richard maintains a freshness in his paintings by working very quickly. His paintings have a marked ethnic Cornish feel: 'Pearce avoids the temptations of the tourist trap, the chocolate box approach, to come up with compositions that are as personal as they are powerful' says: Frank Ruhrmund, art critic and writer. Today Richard Pearce paintings and limited edition prints have been purchased for art collections in the UK, USA, Sweden, Spain and Australia. He has featured in 'Selected Contemporary Artists of Australia' a book by Michael Berry; 'Country Living magazine'; and 'A Royal Duchy' a Portrait of the Duchy of Cornwall by David Burnett and photographed by Peyto Slatter. All Richard Pearce limited edition prints from Red Rag Art Gallery have been reviewed by the artist. This guarantees that all prints offered by Red Rag satisfy the high quality and fine art standards set by Richard Pearce for prints. Each limited edition print series from the Red Rag British Art Gallery is available for immediate delivery and can be shipped worldwide.